InSyncSenses™ is your holistic gateway to internal and external equilibrium. Our team of experts harness the power of nurturing touch and holistically empower through massage, skincare, sound and vibrational therapy, energy healings, cranial sacral release therapy CSRT, and life coaching. The foundational pillars of InSyncSenses™ lie in rejuvenation and empowerment. Our goal is for our clients to take away an improved sense of self with the intention to incorporate harmony into everyday living. Even though everyday and actually, every moment of our lives affords us the opportunity to make better choices to change our plans and our goals, and transform ourselves…. we are so programmed to make the new year THE ONE time to take advantage of what is always available. The difference between being aware of this and allowing ourselves to follow in automatic pilot through the programming which is somewhat ingrained in us, is simply a BREATH away. Learning to breathe properly and realizing the power in the INTENTION of breathing, helps bring a whole chemical reaction in our brain to dispense all the right levels of serotonin, dopamine, oxytocin and endorphins to support us. This enables us to be balanced and connect to our creative inner being allowing our mind to recognize our deepest joys. Makes CLARITY of purpose easier to identify. Once you know for sure what it is you are trying to attain, it is much easier to focus in how to go about it. This is all about practicing mindfulness and learning to be present in the here and now. -Are you clear on what it is you would like for yourself? -Do you know who you are and what your purpose is right now? -Can you visualize yourself actually doing what you want? -What does that look like? -Can you relate it to a scent? -Does it have colors or sounds? -Can you use some help in figuring things out and make them more clear and real for you? 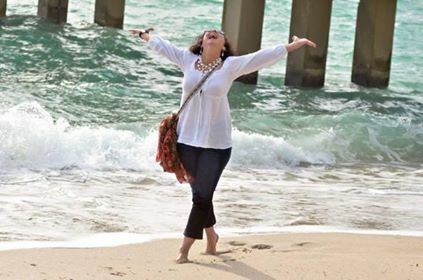 Set up a coaching consultation with Maria-Jose’ and learn how to make your dreams come true. It’s always a magical time to be Present, practice GRATITUDE, to RENEW, and get INSPIRED!!! We put more emphasis on LOVE and relationships on Valentine’s than any other time of the year. Love should be our number one priority at all times. Again, that’s another one of the many programmings we easily fall for. At InSyncSenses we gear our holistic therapies towards a more permanent balanced state of mind based on the fact that when we are centered and have a healthy sense of love for ourselves…when we know that WE ARE ENOUGH, that we are deserving of all our longings and desires coming from our souls, we are more capable of giving love to others and can be generous beyond measure. We also understand the profound meaning of giving without expectations for it is in the pleasure of giving that we do the receiving. Start with a special essential oil blend and Himalayan Salts feet soak to let go of tension and help you ground while planning an improved life plan with your life coach/therapist. Continue with a targeted aroma-therapeutic back, neck, shoulders, re-energizing scalp massage with sound and vibration healing to calm and balance your nervous system and reconnect you to your higher self. 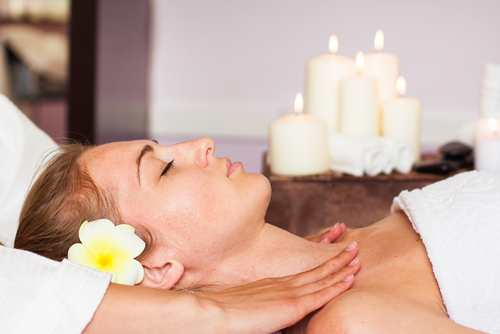 Wrap it up with delightful compresses and hand & feet Reflexology treatment. Breathe and feel totally renewed and inspired! Gift Certificate for a 75 minute customized age defying organic/botanical facial with ultrasonic exfoliating peel. 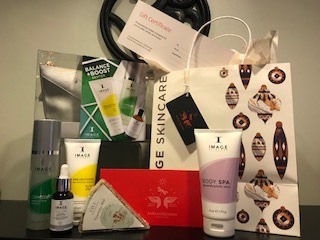 Includes lymphatic drainage decolletage, arm & hand, scalp & neck massage plus foot treatment and your very own Image Skincare Ormedic Pink Lip Enhancement Complex to take home!!! Delight your senses with a 75 minute customized organic/botanical facial rejuvenating experience!!! It’s a complete aroma therapeutic facial with exfoliation, extractions. Strawberry Hyaluronic, Vitamin C, Acai Berries, or Chocolate COQ10 masque rich in vitamins, peptides, collagen. 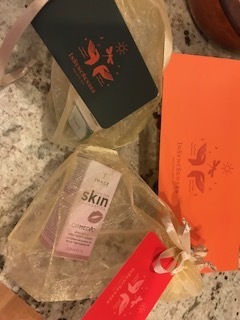 We wrap it up with proper moisturizer, protection, eye and lip care. 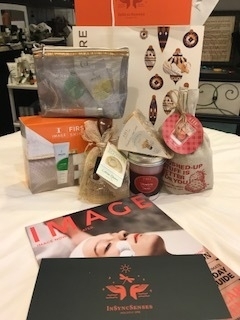 Includes lymphatic drainage decolletage, arm & hand, scalp & neck, foot treatment, and a stimulating rose quartz facial massage plus your very own Image Skincare rose quartz face roller to incorporate in your nightly ritual of loving yourself and skin. Hands down, our most popular holistic experience!!! Described by many as a “mini vacation”. Leave stress behind and step into a magical renewal zone. A totally customized 2 hour treatment including uplifting life coaching to address your main concerns and help you align with your purpose; aromatherapy massage with hot stones, sound & vibration therapy to calm your nervous system and relax the tension held in your muscles; and an organic/botanical facial to fully rejuvenate you!!! 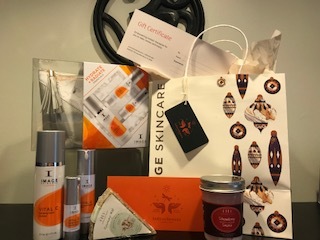 Check out our assortment of Gift Sets from Image Skincare, Eminence Organics, Farm House Fresh natural soaps, face masks, body lotions and scrubs, with facials and or other treatments available in our menu below at super special rates for YOU !!! More popular than ever, facials are a fantastic way to treat yourself. InSyncSenses™ has fine tuned its services to combat the damage caused by Florida’s intense sun. Achieve a healthy radiant glow with a mixture of coveted botanicals found in Image Skincare products and Eminence Organic Skin Care. Our boutique nurturing touch helps remove impurities and can reduce the appearance of fine lines in the face for men and women alike! MicroChanneling is an innovative therapy that activates the skin’s natural repair mechanism. Using the ProCell micro channeling device and Stem Cell Science system, we achieve dramatic improvements in the appearance of your skin. The invisible, vertical, micro perforations into the epidermis catalyze the natural reproduction of collagen and elastin. The treatment leaves the skin tightened, the pores reduced in size, and skin regains it's elasticity and radiance. Take the first step towards organizing your passions and goals with life coaching at InSyncSenses™. It’s not unusual to feel stuck when one is trying to make a significant change in one’s life. Engage in brainstorming sessions with a coach and create a realistic action plan to improve desired areas of your life. When you are ready to open your eyes into your Soul. When you are ready to GROW out of fear and into LOVE. Face your shadow to find your LIGHT. Move from being a victim into owning your power by taking responsibility for your actions and are ready to do the work of rediscovering your TRUE essence which leads you to FREEDOM....We are here for YOU.